When new products are formulated, they are supposed to go through rigorous testing before they are released onto the marketplace for consumers to purchase and use. This is particularly true for medical devices, especially those that are going to be implanted inside of patients’ bodies in order to function as an artificial joint. It’s supposed to be difficult for products like these to make it to the marketplace, as faulty products can quickly inflict a lot of serious damage to unsuspecting consumers and lead to a lot of legal fallout that can be difficult for some to navigate. However, there is a little-known loophole within the approval procedure that is generally followed by the United States Food and Drug Administration, or the FDA. That loophole, so to speak, is known as the 510(k) approval process. Instead of going through all of the required testing steps for a product to be approved, a company can in essence circumvent some of those steps by showing that the design of a new product is substantially similar to a product that has already been approved. The obvious line of thought behind this loophole is that proving such a similar product works would be a waste of time and money. 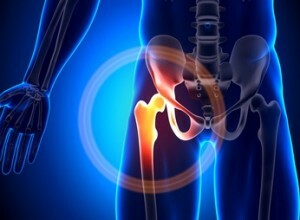 This is how a product known as the Stryker Rejuvenate hip replacement devicemade it to the market, and reports indicate that it was never fully tested outside of a laboratory. Instead, it sailed through the approval process and quickly became available to consumers. Unfortunately, it wasn’t long before consumers from all over the United States began to file complaints regarding this Stryker Rejuvenate hip replacement product, leading to the filing of many different lawsuits. According to more recent reports, the number of lawsuits filed against Stryker has been growing in recent months. This product was seen as particularly useful for younger patients who needed hip replacements, but when any product has more parts and a more complicated design it generally means that more can go wrong. Sadly for many patients, this is exactly what allegedly happened. The different parts would rub together to the point where people would begin to suffer from metallosis, which is basically metal poisoning that results from fragments of metal getting into the circulatory system. In addition, many of these products allegedly fell apart and simply failed to work as they were supposed to, leading to the need for additional surgeries and additional pain and suffering. Ultimately, the product was recalled in 2012.